Nothing beats the taste of a creamy, salty Brie or smoky Gouda, but if you're not careful, this popular food can easily pack on the pounds, escalate a salt issue, or bloat you up. The art of moderation is important, but if the thought of cheese celibacy sounds frightening, worry not, my friends. Wondering which cheese is healthiest and how you can choose from the thousands of varieties out there? Luckily I've done the homework for you, so all you have to do is indulge. Here are some tips to help you choose cheese that's still tasty, yet nutritious. Most of the dairy in the US is pasteurized, which means that while certain bacteria are killed, enzymes are also destroyed. 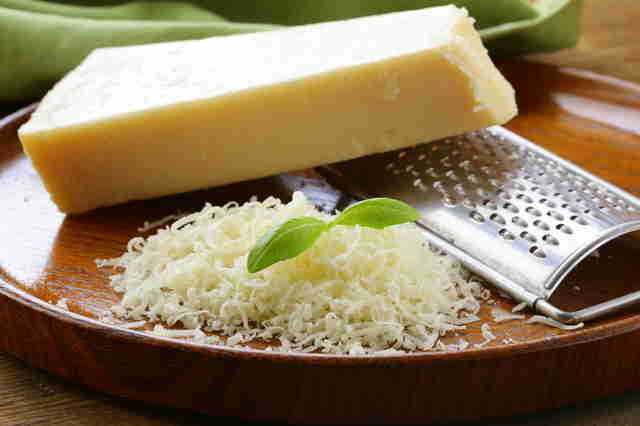 These enzymes, that are found in non-pasteurized cheese, can actually assist in digestion. Raw-milk cheese sold in the US must be aged at least 60 days at 35 degrees F or higher. 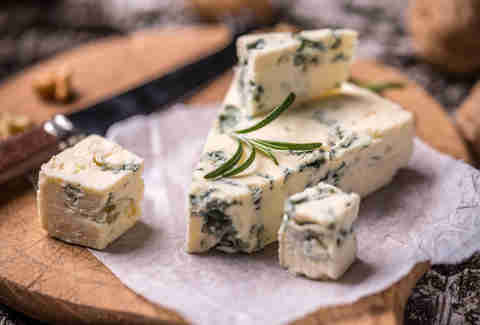 While you can't find authentic raw-milk Brie or Camembert here, you can try snacking on some artisanal raw Roquefort. It is a good source of anti-microbial, anti-fungal, and anti-viral MCTs (medium-chain triglycerides) and lauric acid. MCTs are quickly absorbed and don't require the help of bile acids for digestion. This means you might drop a few pounds, but more on that below! Why is goat better for you than cow's milk cheese? 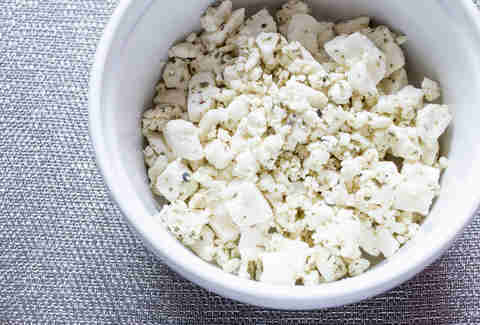 Goat cheese contains more protein and higher amounts of niacin, calcium, iron, and potassium. While goat and sheep's milk cheese contain more fat, the fat globules are small, which facilitates digestion. They also contain higher amounts of MCT (that stuff that helps digestion from before!). An added health benefit to choosing goat and sheep's milk cheese over cow's milk is higher levels of CLA (conjugated linoleic acid). CLA is found primarily in the meat and dairy of grass-fed animals. Studies show that CLA might protect against cardiovascular disease and contain anti-carcinogenic properties. Next time you want a creamy cheese spread, toss the heavy cream cheese, and choose a lighter goat cheese. 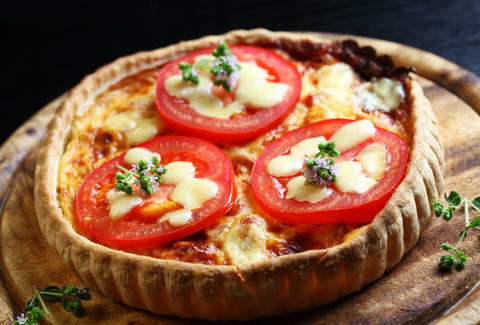 Most cheese contains sodium, which comes from two places: milk naturally contains some sodium, and the remainder is added during the cheese-making process. But if you are restricting your salt consumption, it is wise to limit your intake of processed cheeses and processed cheese foods. They often contain flavorings, dyes, hydrogenated fats, preservatives, stabilizers, and other ingredients needed to increase shelf life and quality. Swiss cheese contains about 55mg of sodium per ounce versus a feta or Roquefort that have about 300-500mg of sodium per ounce. 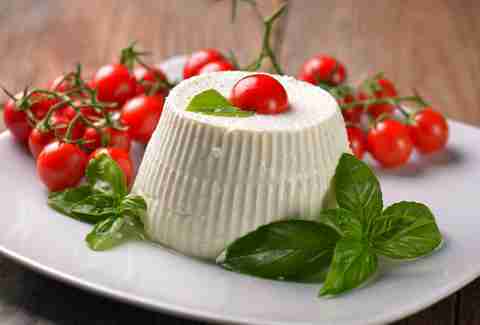 Ricotta, Monterey Jack, fresh mozzarella, and Parmesan are also naturally lower in sodium. Add a few slices of Swiss cheese into your veggie omelet for a healthy and satisfying meal! If lactose intolerance prevents you from enjoying some mouthwatering mac & cheese, I have some good news for you: aged cheeses like cheddar, asiago, Parmesan, and pecorino are naturally lactose-free. During the aging process the bacteria ferment the milk sugar (lactose), which enables better digestion so your taste buds and belly will both be happy. Keep in mind that aged cheeses are often dry and more pungent in flavor so a little bit goes a long way. For a healthy snack, grate some Parmesan onto roasted broccoli or cauliflower for a cheesy and crunchy bite!